You want to showcase your best work, so don’t your portfolio chalk full of everything you’ve ever done. Be picky. Choose projects that have value and show off specific skills you want to highlight. You want to highlight the best of your best. Not to mention that you don’t want to waste users’ time on a 20-minute-long video that bores them before its end. Why should someone choose you over another barber? Consider what sets you apart and show samples that emphasize your unique style. Engage with your audience and show your personality with playful banter –get your video customer involved. Make the viewer want to be in your chair. Include your best before and after shots of how you transformed someone’s look with your specialty fade or awesome grooming technique. Even if you’re not quite ready to be in front of the camera, you can create a video with still images and a voice over or music with some of your best work. Let your work shine with a high-quality picture and impeccable features like music and sound. The last thing you want is for the picture to be off on your video because you didn’t take the time to use the right equipment or want to spend the extra cash to use the better camera. If you don’t have access to a camera you can always share one or find someone with the skills you lack and trade your barbering services for theirs. You want videos that stream quickly and don’t take ages to buffer. One way to help improve streaming quality is to host your video on a site like YouTube or Vimeo and follow the channels best practices. If you already have your own website, make sure to upload your videos there, as well. You want your viewers to watch your video and act on it. So how exactly do you do this? Ask viewers to follow you on social media, share your video, or better yet come in for a visit. Tell them to recommend you on social media and tag your website, Instagram, Facebook, YouTube channels. Whatever action you want them to take, make it clear and easy to do so. Even the best video can have errors. Catch those errors by proofing your video and doing a good job at editing. Are the shots well-lit and demonstrative of what you want to highlight? Is the messaging clear? Are the transitions smooth? If all of this seems a little daunting, it may be time to get professional help with the edits. If not, you may want to reshoot until you get it right. And let as many eyes as possible view your video to catch any errors you may have made—before you post online. Want to start your career as a Barber? 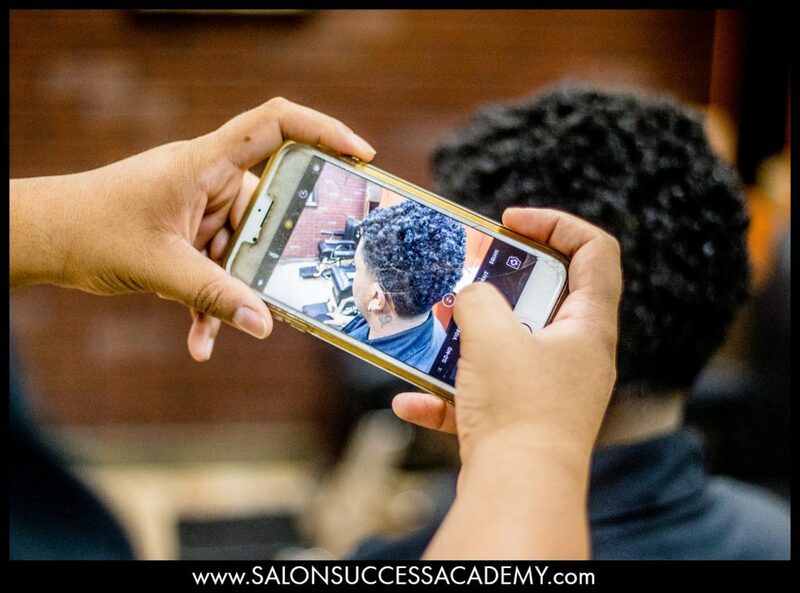 Salon Success Academy can teach you everything you need to know about how to provide high quality barbering services. Once you graduate from our barbering school and get your license, you could start an exciting career as a barber. Don’t wait, fill out the form today!